As a New Jersey Department of Education (NJDOE)-approved full-day educational program for children with disabilities, The Phoenix Center’s curriculum is based on the New Jersey Student Learning Standards (NJSLS), and provides a wide range of special events and field trips to augment the academic curriculum. Educational programs are individualized for each of our students. The Curriculum Department is dedicated to designing and providing teachers with the instructional objectives and methods that will provide the framework for a comprehensive program. 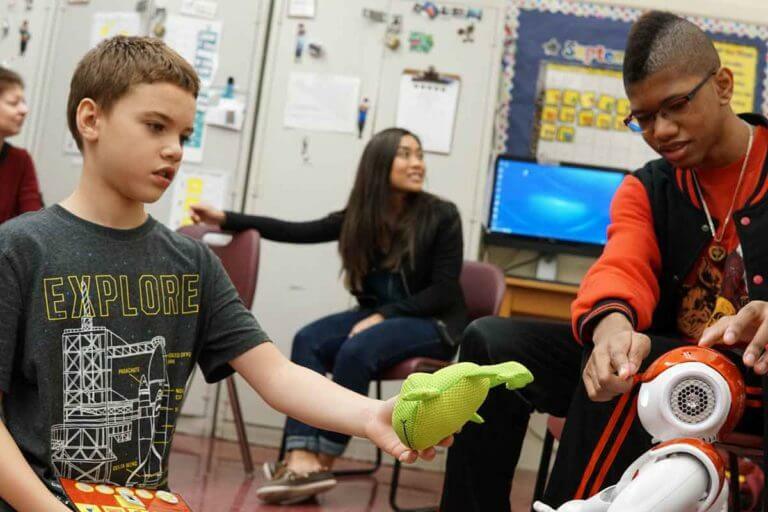 Educational activities have been adapted to meet the various needs of The Phoenix Center’s student population, with different abilities, learning styles, and ages. It’s focus is on developing academic skills; increasing adaptive behaviors; teaching communication systems for students that are verbal and nonverbal; developing leisure and social skills in order to provide the students the opportunity to interact and engage in meaningful experiences/interactions with adults and peers while also increasing pre-vocational/life skills. The curriculum takes into consideration that all skills acquired need to be maintained and generalized; thus, we implement specific strategies to foster and increase independence.